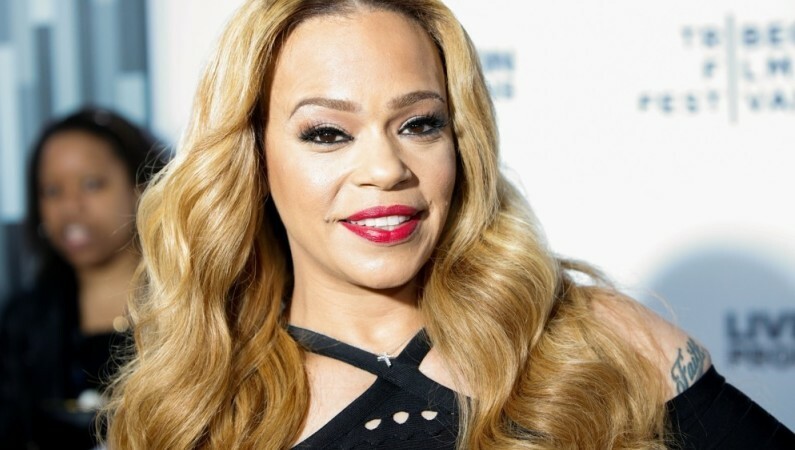 Faith Evans on aftermath of Biggie's passing: "We definitely don't have closure"
As the count down to the May 19 release of The King & I winds down, Faith Evans stopped by The Steve Harvey Show to promote her duet album with late husband The Notorious B.I.G. In one interesting bite from the episode, which ran last week, the R&B singer and first lady of Bad Boy spoke on the aftermath of Biggie's murder and where the family is at this point as the case remains unsolved. "We definitely don't have any closure because no one's been brought to justice," shared Evans. The late rapper, born Christopher Wallace, was shot and killed after leaving a music industry party at the Petersen Automotive Museum in Los Angeles, California. While seated in the front passenger seat of a Chevrolet Suburban, an unidentified killer pulled up alongside in a dark Chevy Impala and fired shots into the vehicle. He was pronounced dead on March 9, 1997. 20 years after the fatal shooting, Notorious B.I.G. 's killing remains one of music's biggest unsolved murders. As no motion has been made in the case since a $400 million wrongful death suit brought by Biggie's mother in 2006 against the LAPD was dismissed , Evans says the family has decided to move on. "We just decided to not continue to financially pursue something that we know is only resting in the hands of the LAPD to say, 'Hey we know what happened,'" she continued. "We believe they know, we believe we know, but it's not a matter of us saying we think we know what happened. We just pray and keep hope that one day they will actually say they know what happened."